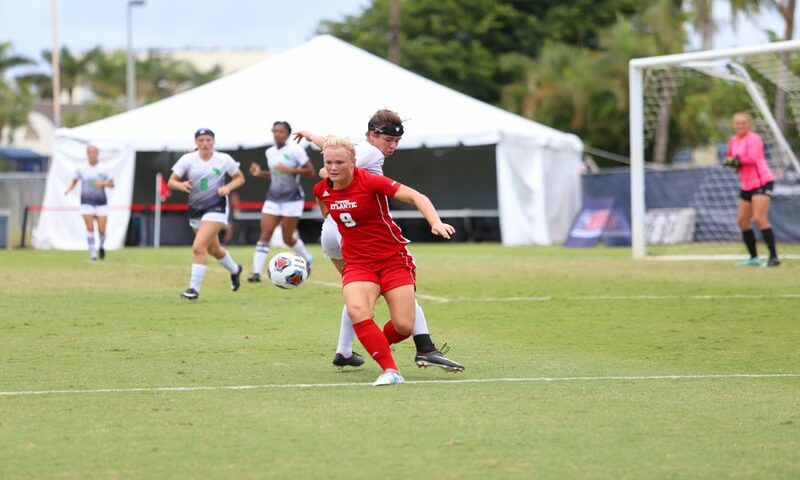 FAU senior midfielder Asta Arnadottir (13) attempts to turn toward the North Texas goal net during the first half of the match. 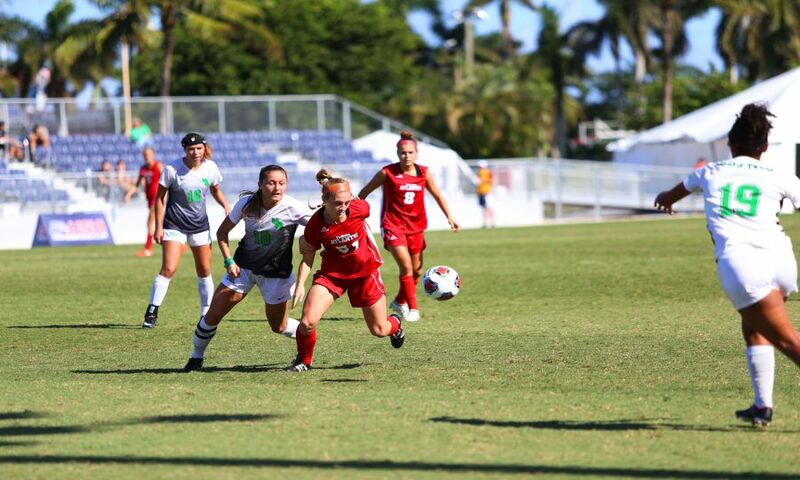 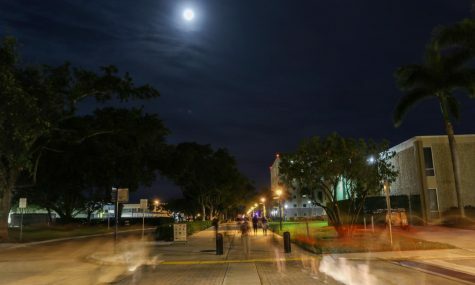 FAU went on to lose against North Texas 2-0 during the C-USA Semi-Finals Women’s Soccer Conference on Friday afternoon. 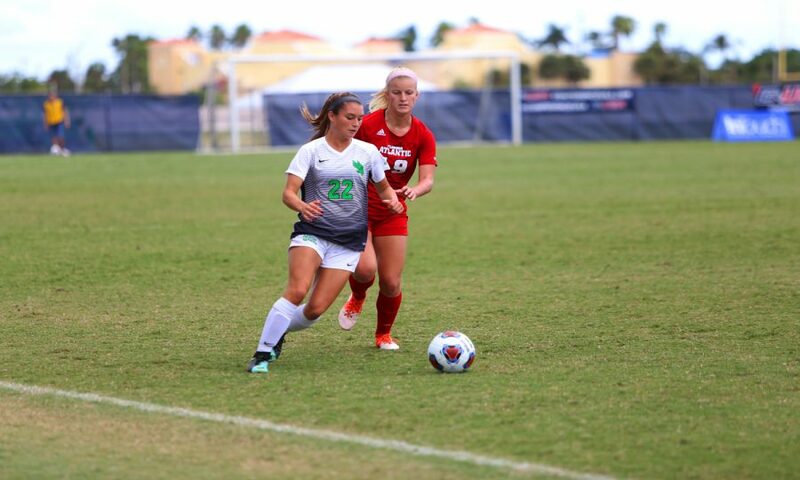 FAU junior defense Ebba Blomqvist (9) attempts to regain possession of the soccer ball while North Texas attempts to defend her goal area. 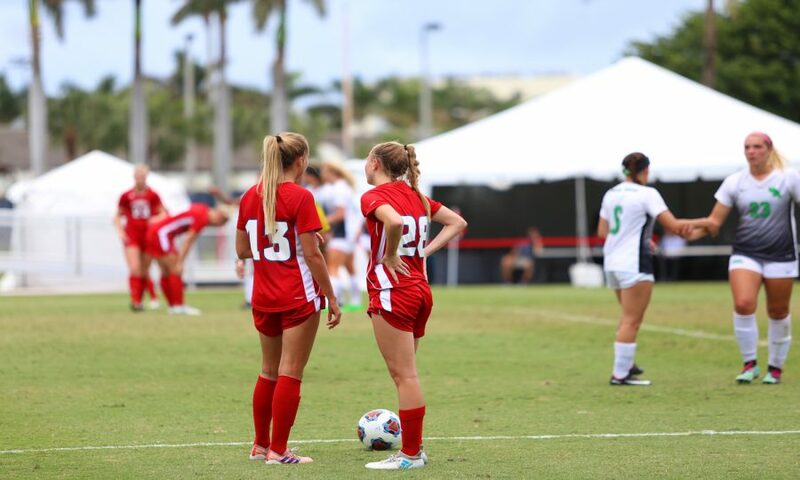 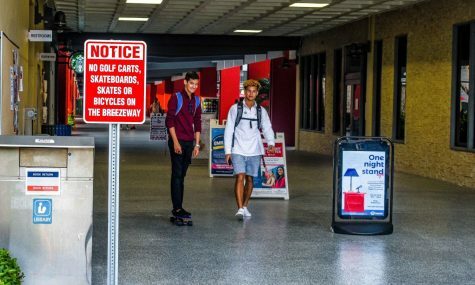 FAU senior midfielder Asta Arnadottir (13) and FAU freshman midfielder Sammy Vitols (28) talk to each other to coordinate on who will kick the soccer ball during a free kick. 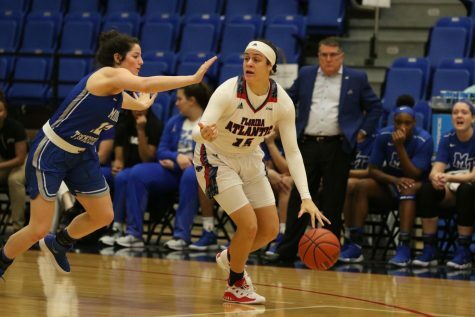 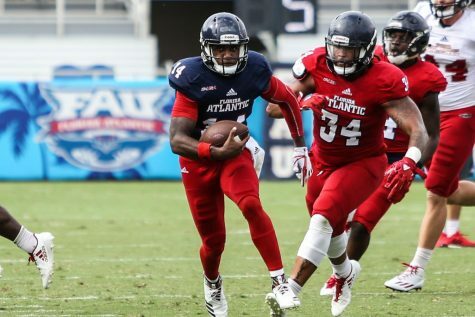 FAU sophomore defense Alex Maxson (19) runs toward the ball to defend it from North Texas freshman forward Berklee Peters (22). 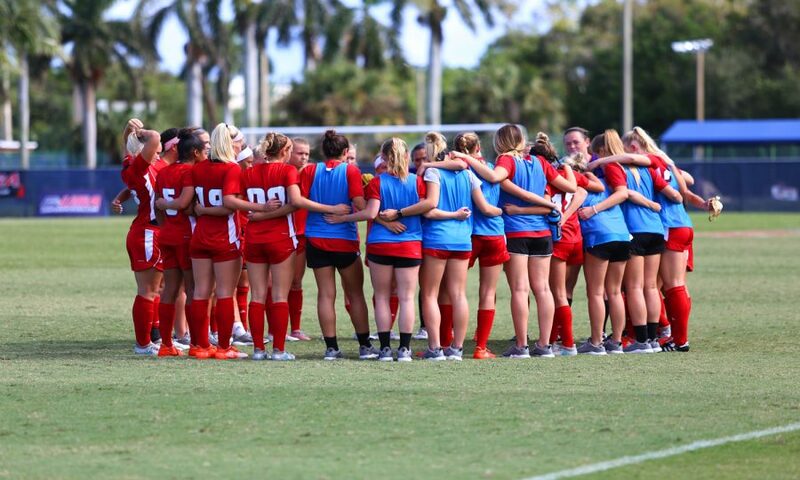 FAU Women’s Soccer team huddle together before the start of the second half and talk of a plan while they are down 1-0 against North Texas. 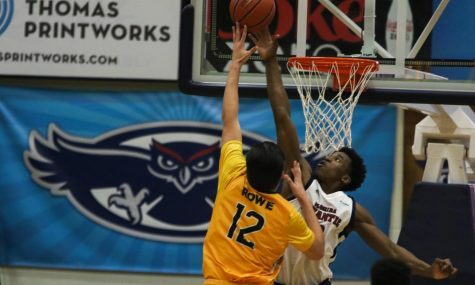 FAU senior forward Alex Mastrobuono (31) attempts to regain possession of the soccer ball while a North Texas player attempts to defend it. 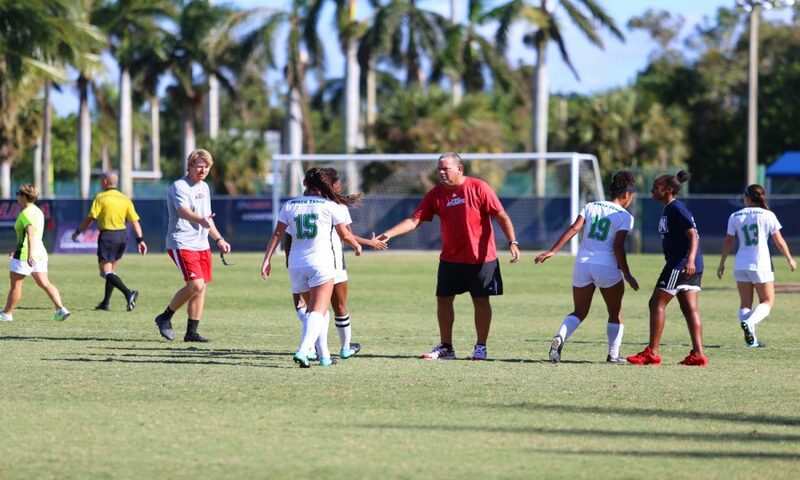 FAU head coach Patrick Baker (in red shirt) shakes every North Texas’s players hands after the match was over. 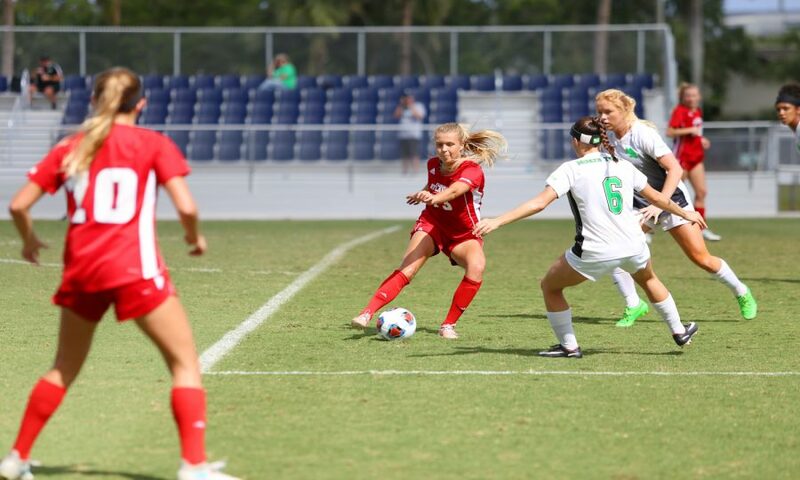 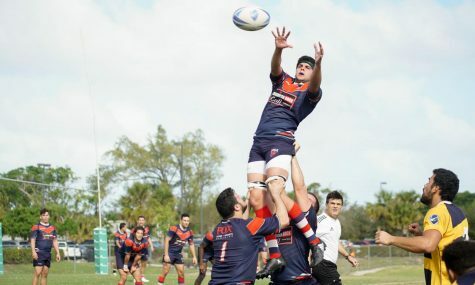 FAU lost 2-0 against North Texas on Friday afternoon.